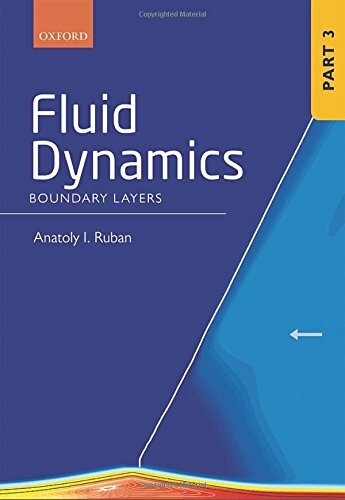 This is the third volume in a four-part series on Fluid Dynamics: PART 1: Classical Fluid Dynamics PART 2: Asymptotic Problems of Fluid Dynamics PART 3: Boundary Layers PART 4: Hydrodynamic Stability Theory The series is designed to give a comprehensive and coherent description of fluid dynamics, starting with chapters on classical theory suitable for an introductory undergraduate lecture course, and then progressing through more advanced material up to the level of modern research in the field. The notion of the boundary layer was introduced by Prandtl (1904) to describe thin viscous layers that form on a rigid body surface in high-Reynolds-number flows. Part 3 of this series begins with the classical theory of the boundary-layer flows, including the Blasius boundary layer on a flat plate and the Falkner-Skan solutions for the boundary layer on a wedge surface. However, the main focus is on recent results of the theory that have not been presented in texbooks before. These are based on the so-called "triple-deck theory" that have proved to be invaluable in describing various fluid-dynamic phenomena, including the boundary-layer separation from a rigid body surface.